Depending what part of the country you live in, the open waters could be starting to cool down. With beautiful warm days and cool evenings, the water temperature is sure to be dropping. Which means the summer triathlon season may be coming to an end. But, don’t let that get you down, because if you’re like me there is goals for the next season. Maybe it’s to improve your swim, you’d like to work on efficiency, obtaining balance in the water, and looking to better you swim splits for next season. 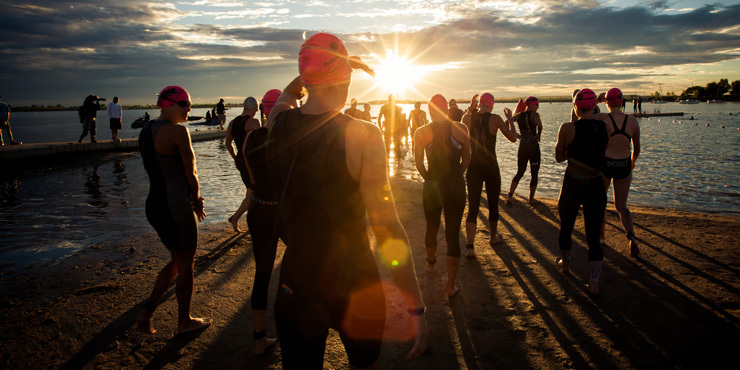 So let’s take a dive in, pun intended, and see what common things triathletes often miss when trying to improve their swimming. There is a limited “glide” in swimming, yes you do reach and extend, but in doing so you should be grabbing the water. When the hand enters the water the goal is to collect as much water while achieving a good position which will allow you to pull then push the water behind you (not downward), this creates propulsion. The pull will begin with what is called the “catch” a smooth motion which will accelerate into your pull and push. Finish your pull by accelerating the water back, past the hip (again, not downward), then move into the relaxed phase of the recovery. The hand transitions from pull to exit the water where it will then re-enter. Just stay relaxed and leave the active work for the hand when it’s in the water. For starters too much of anything can create negative effects. Ever hear of swimmers shoulder? Yes, only swimming one stroke can cause muscular imbalances in the shoulder, which is the common muscles used in swimming. Swimming one stroke all the time will cause the prime movers to over develop when compared to the rest of the shoulder. What happens? You guessed it, pain, and then injury. Practice swimming different strokes. Using all the swim strokes; backstroke, breaststroke, butterfly, find ways to incorporate these other strokes into your swim routine. I enjoy adding them into a good warm-up routine and/or cool down. Swim a few intervals using these strokes, like 100’s doing backstroke, or 100 IM (butterfly, backstroke, breaststroke, freestyle) into a pre-set. Using the different strokes will not only make you a stronger freestyle swimmer, but help to keep you balanced in and out of the water. Its common and we see a lot of this. A swimmer going to take a breathe and over-rotating or pulling their head out of the water to breathe. 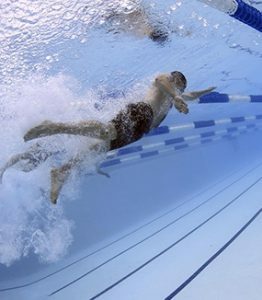 When this occurs the arm which is out in front, during the glide portion of the stroke sinks towards to bottom of the pool, almost like what someone does when they are in the middle of falling. This causes the shoulder to dip tip into the water and all the momentum that arm was going to pull, actually pushes it towards the bottom of the pool. When breathing try to think about keeping the lower eye in the water as you take a breath. Your extended arm should actually break the water and cause a nice little air pocket where you can take a quick breath before taking the next stroke. Your body will remain balanced in the water and your momentum moving forward. Check out the link below for a breathing drill to in-cooperate into your warm-up. Every swimmer should have more than one swim speed. Swimming at one speed can build endurance, but how do you expect to get faster swim splits if you’re not practicing swimming faster. 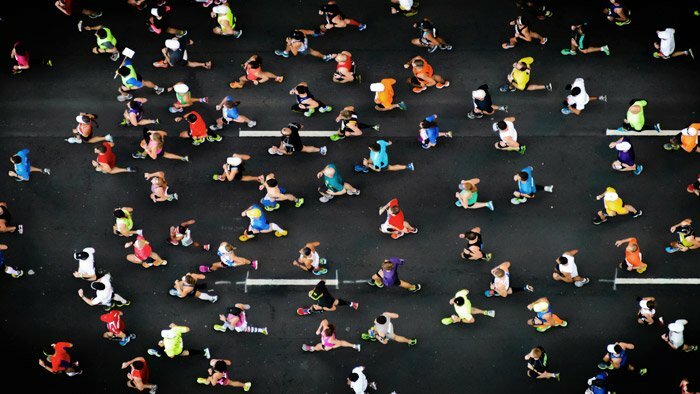 Like anything else, if you’d like to be faster running you need to incorporate running intervals at which you will run faster than your current pace in order to get faster. The same rule applies to swimming, but why don’t we ever see many triathletes doing this? Because, it can be hard, and yes uncomfortable. So you don’t know how fast you should be swimming? A coach can assign something called a swim threshold test which they will have you swim a couple of intervals at your best effort. There is a formula we use in order to determine a swim base. From there, and based on the goal of the workout we would have you swimming intervals like 10 x 50’s, 10 x 100’s, 4 x 200’s, etc at different speeds. The shorter the distance the faster the speed we are likely to assign, or the less rest we may give you in-between interval repeats. Sometimes you do have to lift your head out of the water to sight, this might be at the swim start when there is a lot of splashing and fighting for position going on. But, over the swim course there is a more efficient, less effort way of sighting. 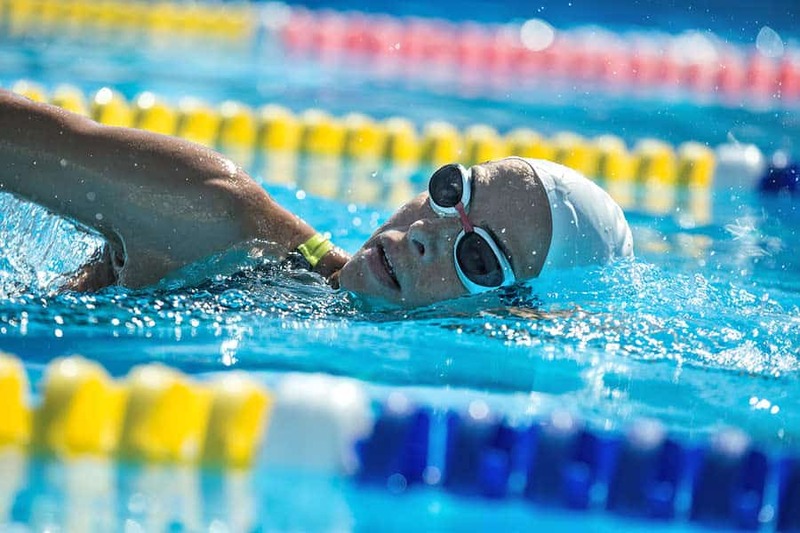 What happens when a swimmers head is lifted out of the water the rest of the body drops down and creates drag, which the swimmer then must work harder in order to regain their momentum. Next time you’re in the pool, practice some sighting drills to learn how to keep your head in the water and only slightly raise your eyes in-order to get a look. This stealthy move will have you looking like an alligator in no time. Watch this video to learn how to do it! I see a fair amount of swimmers doing this. When taking a stroke the swimmer is over reaching and sending one of their arms across the center point of their body. This causes the swimmer to swim a zig-zag pattern. 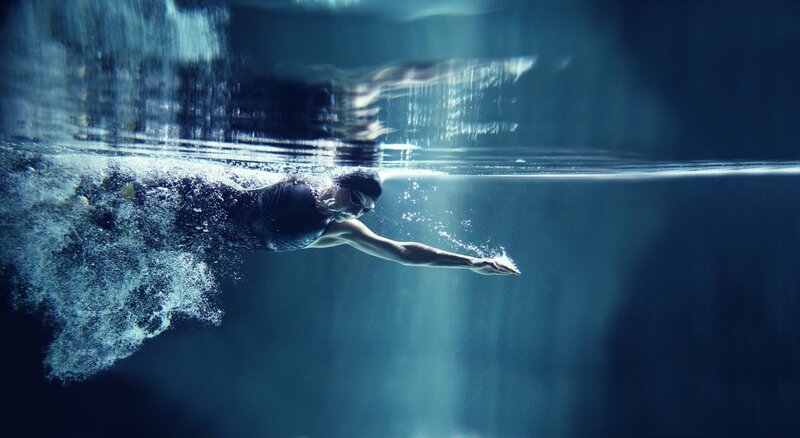 When swimming think about your stroke, slow down the movement and think about reaching straight out in from of you, I call it mindful swimming. There are two great drills which can be done to help correct this issue. Incorporate them into your warm-up and cool-downs and you’ll be swimming more efficient in no time! Triathletes often think they don’t have to, or should limit their kick in order to, “save their legs for the bike” the problem is, the kick is 20% of a swimmer propulsion. 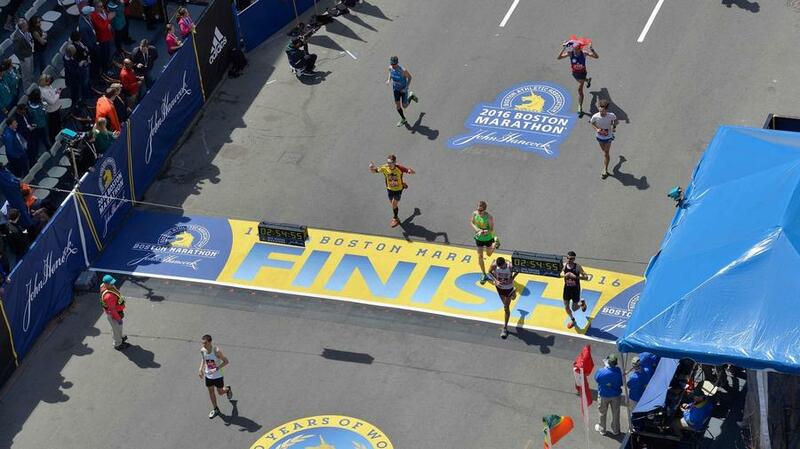 Imagine if you took 20% of your speed away, that would be like taking at 2 minute 100m to a 2:30! Now we don’t want that do we? Practice your kick. Kicking drills and kick board work will get you kicking stronger in no time. I don’t know about you, but I’d like to keep that 20% propulsion and get out of the water faster, how about you? I could do a blog post on this subject alone. Far to common, I see athletes only swimming in their wetsuits during their open water swims. Then, when it comes to race day, the race officials take a temperature reading and IF the water temperature is above wetsuit legal temperatures, there is wide spread PANIC! Why is this? Wetsuits do add a sense of a level of comfort as they can help swimmers stay afloat with a little less effort. However, if you will be doing some late summer races, it is possible for water temps to be too high to be deemed as a wetsuit legal race. So, one should take measures to be prepared. When the pond/lake water starts to warm up its time to do some practice swims without a wetsuit. Yikes, but yes, you must. I know, if you’re like most people, it makes you feel safer out there in the open water and more bouyent. What I suggest is picking up an inflatable swim buoy which you can tow behind you. 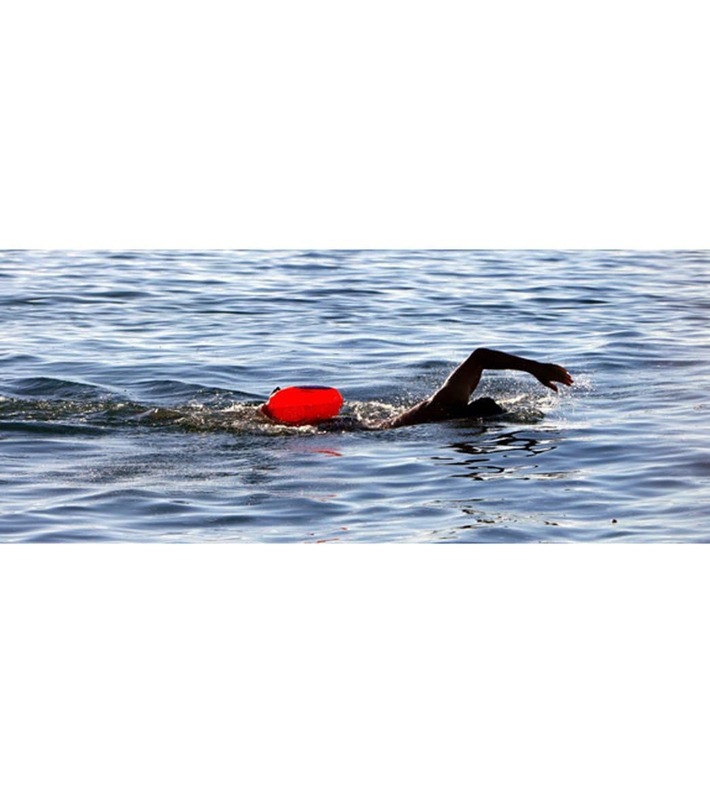 Should you need to take a break in the middle of the swim you have a flotation device in tow! Even better, this flotation device acts as a dry bag as well, so feel free to bring your phone, in the event you make it across the pond but are to tired to make it back. (Click this link to see an example of what one looks like). The nice thing about a tow buoy is it also makes you more visible in the water to other swimmers and more importantly boat traffic! Practice this skill so the next time they go to take water temperature readings you don’t start to panic, relax, because you’ve practiced for this moment and are prepared! Now that summer is sadly coming to an end, it’s now a good time to get in the pool and practice some of the skill-sets mentioned above. It may also be worth your while to get in the pool with one of our Certified Coaches to have a look at your swim. We can provide a great value with videos to our athletes, and with the off-season coming up its the perfect time to get a full swim stroke analysis. Be prepared to come out of a one-on-one training session with one of our coaches and you can learn some new skills, knowledge, and ideas to get you swimming faster next season!